Welcome to the world of desserts. Get to know the most tempting and delicious tuck around the world. Our journey starts from Hong Kong and ends to Fiji island. Start searching for recipes. According to recent researches chocolate can be a part of a healthy nutrition scheme. This infographic addresses the popular myths and facts about chocolate. Get absolved from your addiction! After reading this report you may discover that sweet stuff is not so sweet. 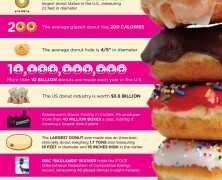 Sugar is hidden everywhere – diet specialists and doctors warn about severe damage to our health due to over-consumption. Sweeter than sweet! 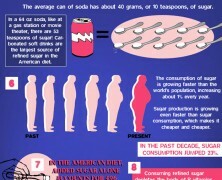 According to this report, sugar intake in the US has been decupled during the last 200 years. Learn why and how you should reduce sugar consumption.